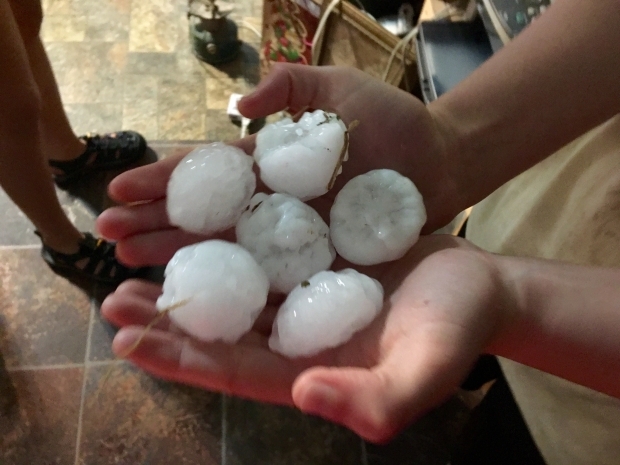 North Texas saw a big hail storm in the early morning hours on Wednesday, with softball-sized hail falling in parts of Coppell and Carrollton. Golf-ball-sized hail fell in Arlington and Irving. Frisco and Farmers Branch were hit, too. "That's the first time I've seen impacts on the grass from the hail ball being so big, it damaged the grass," said roofing contractor Sebastian Nosrati. "It looks like someone was playing golf out here." Yards in Carrollton were dotted with roofing company signs, and the streets were filled with work trucks. "Starting at 8 this morning, I can't tell you the number of calls I received," homeowner Diane Foote said, talking about cold calls from roofing companies. Foote said she was careful to do her research before calling for an estimate. "I've had contractors go bankrupt and contractors walk off the job, so I have some experience with that." If you have hail in your neighborhood, you can expect a knock on the door this week. Before you say yes to roofers, there are a couple of important questions to ask. In Coppell, Albert Avila is tallying up the damage at his home. "It's brand new. We've only driven it two times," Avila said, pointing to his wife's car. 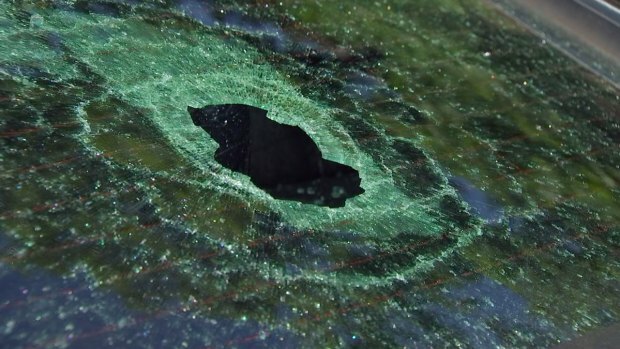 The silver Dodge had a softball size imprint in the front windshield, along with countless dents in the body. Two other cars were damaged, but Avila was most concerned about his roof. "This is new. We've only had this roof for three years," he said. 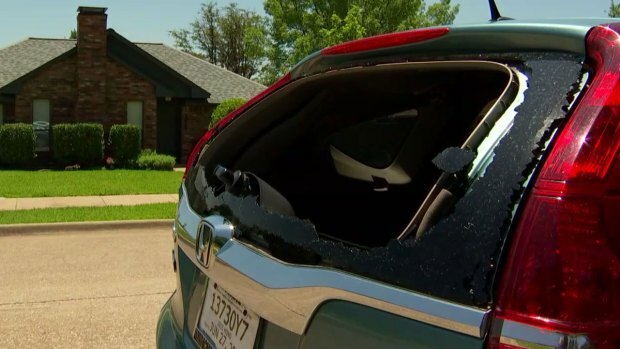 North Texas saw a big hail storm in the early morning hours on Wednesday, with softball-sized hail falling in parts of Coppell and Carrollton. Golf-ball-sized hail fell in Arlington and Irving. Frisco and Farmers Branch were hit too. A roofer confirmed the roof would have to be replaced, along with siding and gutters. Avila said he's probably out at least $2,500 in deductible costs and he's not alone. "There is roof companies everywhere. It's bad, it hit really, really bad over here," he said. The Insurance Council of Texas said it anticipated as many as 20,000 home insurance claims and 25,000 auto insurance claims to be filed after Wednesday's storm. A council spokesman said there's no guarantee rates would be impacted by one hail event. "They anticipate these hail storms and catastrophes and that's already factored in," said State Farm Agent Robyn Holtz. "No one is going to see an immediate rate increase because of a catastrophe hail storm." Holtz pointed out up until today, hail claims were light this storm season. "We're already in June and this is really the first big one that's hit," Holtz said. "That's good news. We're already halfway through hail season we've only had one big one in the DFW area."